Before you start browsing the web for deals, consult with this Kratom Buying Guide to get the basic info you need to make informed decisions. There’s a lot of information out there concerning kratom, one of the most popular herbal remedies to come along in years. In fact, the barrage of facts, figures, and opinions can be overwhelming. Everyone needs a basic background in product names, types of kratom, and how to order. Read on for a crash course in how to safely explore the benefits of purchasing kratom. Here is a quick guide to purchasing Kratom for just about every product that is sold today. Sometimes, a retailer will add their own descriptive adjective to a product name, but the following terms are considered universal. Powder – Most kratom users consume dried leaves that have been ground into a fine powder. 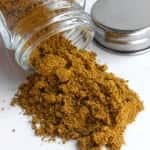 Whether it is mixed with food or beverage, or eaten raw, ingesting powder is the universal method for delivering alkaloids to the bloodstream. Powders can be produced from the kratom of many different regions, in many different strains and strengths. The name of each powder usually describes all of these qualities for consumers. Extract – In order to maximize the power of kratom, some products employ an extraction method to concentrate a high volume of leaves into a light, small product. By boiling leaves into a resin and then grinding into a powder. The final result is known as extract powder, and can be up to 20 times stronger than conventional powders. Enhanced Powder – Extract powders are often too strong to consume regularly, so many users enjoy adding them to traditional kratom powders. 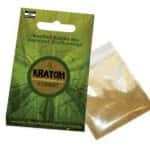 Any time an extract has been mixed with a kratom product, it is referred to as an “enhanced” product. This is the universal word for boosted power and efficacy. Resin – This dark, smooth, rock-like substance is the initial result of a physical extraction process. Users can break off and crush small pieces of the extremely powerful and potent resin, or melt it in beverages. Super – This harvesting technique involves the selection of only the largest leaves, as the broad surface area is home to more alkaloids than smaller leaves. Super products are considered more potent. Premium – This harvesting technique separates stems from leaves, resulting in a denser collection of potent alkaloids in powders. Tincture – A liquid extract made by dissolving raw kratom leaves into an ethanol alcohol solution is called a tincture. Full Spectrum – Some extract products only isolate mitragynine, the most prevalent bioactive alkaloids in kratom leaves. However, this practice leaves dozens of other alkaloids out, resulting in far lower efficacy and less sophistication of effects. A Full Spectrum product like FST Kratom is careful to preserve a representative sample of all alkaloids, even in a highly concentrated form. In addition to the region it was grown in, each kratom leaf also has a color rating which will indicate the nature of its effects in the body. This brief guide will help you tell them apart. Red Leaf – Products made from red veined leaves are known to be the most relaxing of all strains. Users enjoy their calming, stress-reducing effects. White Leaf – White vein leaves like White Sumatra are thought of as the most stimulating kratom products. They are designed to provide lots of natural energy. Green Leaf – Green kratom leaves fuse the best of all other strains into one. These products are excellent for great all-around kratom benefits, like pain relief, calming of the nerves, and fantastic energy boosts. Here are our Kratom FAQ answers for some basic questions that just about every new kratom user has. How does kratom taste? Most people find the taste to bitter when eaten raw. For that reason, combining kratom with food or drink, or taking it in a flavorless capsule form, is generally preferable. 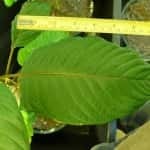 Is kratom legal? Yes. Kratom is legal in almost every country in the world. Its amazing record of safety and therapeutic use has kept its use protected almost everywhere. Only Malaysia, Thailand, Australia, and Burma currently have bans, plus the U.S. state of Indiana. What is the most poplar strain for relaxation? Many people love the famous Red Bali for the most calming effects. Which kratom variety should I use for maximum energy? This White Borneo is known for providing incredible all-day energy. What is the strongest kratom strain on the market? Hands down, users rate Maeng Da Kratom as the strongest product available. Can I take kratom every day? While it is possible to take kratom more than once a day, it is not recommended. To maximize the effects of the powder, try spacing sessions out to a few times a week or less. How often should I use extracts? Extracts are a great way to add power to your normal kratom routine, providing incredible benefits that last longer, on much smaller doses. They should be treated as occasional “special treats” to avoid building a tolerance. Where can I buy kratom safely? 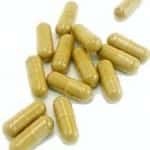 There are many reputable, trustworthy kratom vendors online. One of our favorites is Bouncing Bear Botanicals. Their incredible selection and lightning fast shipping make them a reliable winner. Don’t see your question? 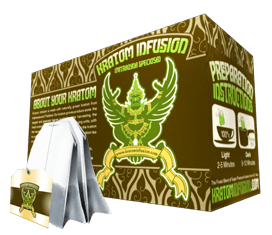 The ultimate Purchase Kratom Guide is one that a knowledgeable customer service rep from one of the top online vendors can give you. Browse quality vendors like Arena Ethnobotanicals – if you can’t find an answer to your question, write a quick note to one of their customer service agents. There’s no need to be intimidated by the world of kratom. This remedy has been used across many cultures for perhaps thousands of years, and the experienced users who have come before you have paved an informative and easy path which will make it simple to start experiencing kratom’s many health benefits today.